Our agents recognize that time is of the essence for the damaged property owner when it comes to reaching a damage settlement. Professional Property Services, Inc. (PPS) understands that sometimes, projects don’t go completely as planned. When unexpected damage occurs on a property due to a project, PPS agents can act quickly and with consideration to settle damage claims when they arise. Our ability to effectively satisfy damage claims against a client can result in significant savings to the client with regards to time and money. PPS agents have experience fairly assessing the multifaceted damage factors to arrive at a damage settlement acceptable to both the client and the property owner, thereby minimizing any negative feelings or publicity. PPS agents can act as liaison between the property owner and all other members of the project team, from surveyors to the construction crew. Fostering a positive relationship between PPS agents and the property owners is a very important aspect of the overall project, and can help to reduce potential damage claim settlements and increase positive public opinion of the project. PPS agents recognize that time is of the essence for the damaged property owner when it comes to reaching a damage settlement. So, our agents will work effectively with the property owner to consider all aspects of the damage, in whatever form that may be. Once an inspection has taken place, PPS then evaluates each item requiring a remedy and presents the findings to the client. 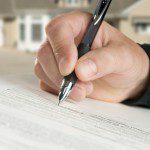 PPS agents are available and experienced to negotiate damage claim settlements and follow the client’s specific documentation and payment process. If you would like more information regarding our damage settlement services, please contact us.